Kerry-Anne will be hosting CS Forum 2012 later this month in the lovely town of Stellenbosch. Well, not in the town, rather at well-known Spier Estate, which is about 5 minutes' drive out into wine country. CS Forum 2012 takes place at Spier Estate in Stellenbosch, from 24 to 26 October, so there's still time to get your tickets. Find out all about the speakers, the talks, the workshops, the sponsorship opportunities, and the parties at csforum2012.com. Cape Town Daily Photo readers can get a 10% discount on their conference tickets, by using the discount code CTDP10 when registering. 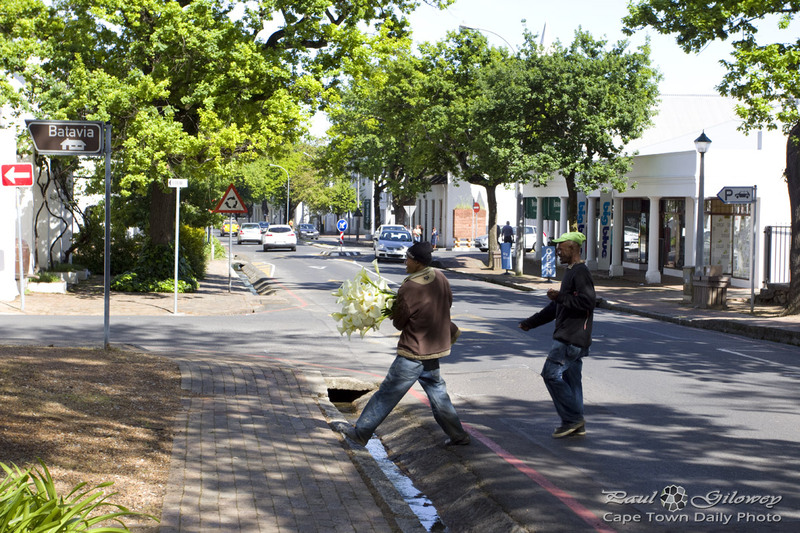 Posted in General and tagged stellenbosch, streets on Monday, 15 October, 2012 by Paul.